It was on October 28 last year that dentist Dr.Savita (31) from Belgaum, wife of Praveen Halappanavar, died due to septic blood infection following a miscarriage at the Galway University Hospital in Ireland. 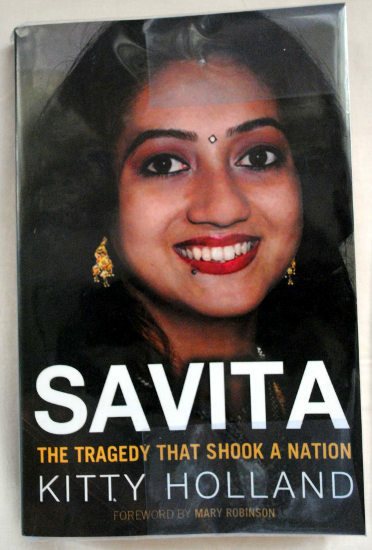 It was on October 28 last year that dentist Savita (31), wife of Praveen Halappanavar, died due to septic blood infection following a miscarriage. The eyes of Andenappa S. Yalgi and his wife, Akkamahadevi parents of Savita at times, appear dry yet tears surface every time they are reminded of how their only daughter died in Ireland. Belgaumites have remembered its loving daughter with all affection and reverence. Her first death anniversary was held in a befitting manner in Prajapita Brahma Kumaris Ishwariya Vishwa Vidyalaya, a unique spiritual education organisation which has taken up the women empowerment causes for the last 40 years in Belgaum. It was held at its main centre at Mahantesh Nagar and was attended by Late Dr. Savita Halappanavar`s Parents, local Belgaumites and other progressive thinking personalities. Many of them have recalled the beautiful nature and aspirations of late dentist and a Book written in her memory was also released during the function.